The Supply Chain Management System (SCMS) provided global procurement and distribution for essential HIV and AIDS medicines and supplies needed to provide care and treatment of people living with and affected by HIV. 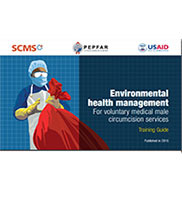 Funded by the President's Emergency Plan for AIDS Relief (PEPFAR) through the U.S. Agency for International Development, SCMS was implemented by 13 organizations, lead by the Partnership for Supply Chain Management (PFSCM), a partnership of JSI and MSH. SCMS delivered more than $2.8 billion in life-saving commodities to 66 PEPFAR-supported countries and managed the procurement and distribution of over 18,500 deliveries. Leveraging a ground-breaking initiative by USFDA to approve generic anti-retroviral medicines (ARVs) for use in PEPFAR-supported countries, SCMS helped lower the average cost of ARVs from $1,500 per patient per year to an affordable $100 to $200. 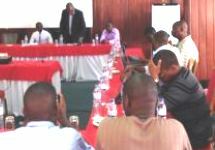 SCMS virtually eliminated central-level stock outs of HIV commodities in PEPFAR-supported countries. The project’s on-time delivery for all products—into some of the hardest to reach areas of the world—averaged around 80 percent. Using strategic stock of ARVs in three regional distribution centers and leveraging relationships with suppliers, SCMS became an emergency responder of choice. The rate of expiry in SCMS’s regional distribution centers was be exceptionally low, at .73 percent, compared to a developed world pharmaceutical industry standard of between three and seven percent. To support PEPFAR’s goal of providing treatment for 8 million people, SCMS helped build platforms to plan, procure, warehouse and distribute the large volume of commodities required for testing, care and treatment. 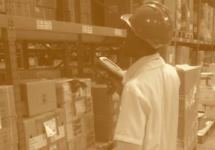 SCMS supported national strategies and strengthens supply chain capacity in 21 countries. Check out the SCMS final report: 10 Years of Supporting PEPFAR through Stronger Public Health Supply Chains. 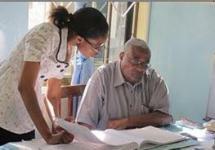 Read related blog post by Brian Serumaga on "Strengthening Performance? 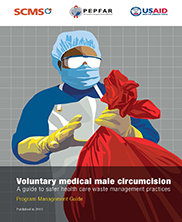 Piloting Results-Based Financing in a Central Medical Store"
Environmental health management for voluntary medical male circumcision services. Training Guide.